The roadside restaurant at Truckstop 8 is not only a popular place for truck drivers to take a break but also a perfect meeting point for business meetings (also due to the free WiFi network for costumers). Whether you feel like a cup of coffee, want to plan a lunch date or enjoy a full dinner: you will be very welcome in our cosy and stylish roadside restaurant on the A2. We also regularly broadcast football matches on our large screen. The chefs prepare fresh dishes for our restaurant on a daily basis, which is open on weekdays and Saturday mornings. The restaurant at Truckstop 8 has new special offers each week and gives visitors the opportunity for breakfast, lunch and dinner. Check out our special offers and our menu. You can pay in our restaurant by Mastercard, visacard, visa electron, Union pay, maestro and Vpay. *From Mondays to Thursdays, the kitchen closes at 22.30 hours and at 22.00 hours on Fridays. **Our kitchen is closed on Saturdays. 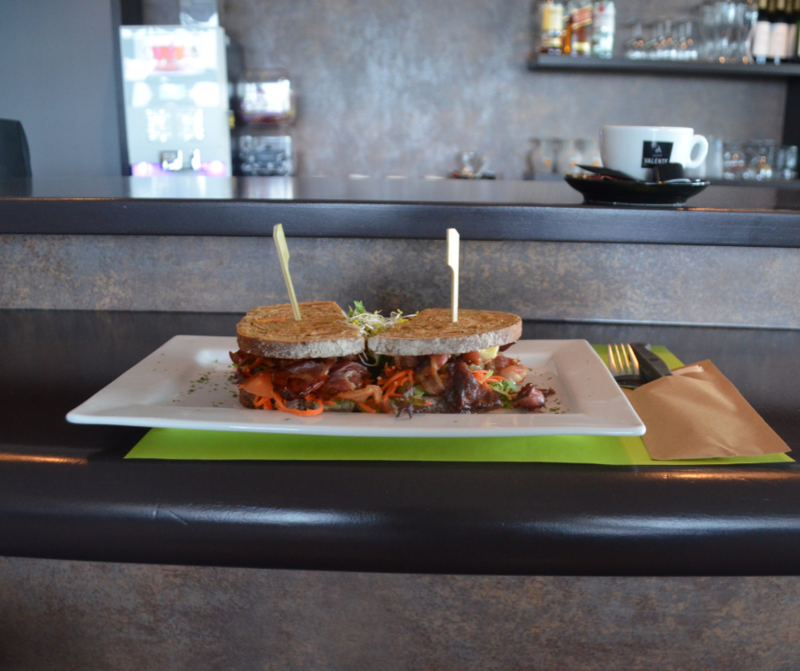 While our restaurant is open for drinks, rolls and toasted sandwiches, the menu meals are not available on Saturdays. Our shop is open as normal on Saturdays. Pets are not allowed in Truckstop 8. Help- and guide dogs are of welcome ofcourse. Would you like to make a daily reservation for a certain period, if you’re attending a course near Truckstop 8 for example? That’s also an option, so contact us to check the possibilities! Would you like to collect a meal or order a lunch for your colleagues? Truckstop 8 offers you this service! 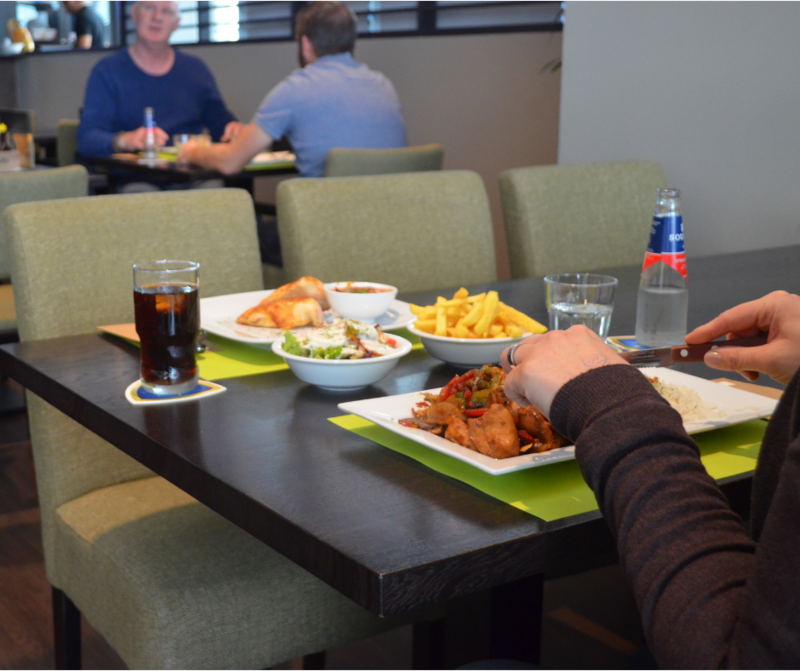 Call in your order via +31 (0)40 – 262 02 22 (lunch before 12.00 hours please). Check out the menu. In other words: if you want to make a reservation or get a takeaway, Truckstop 8 is the roadside restaurant on the A2 in Eindhoven!